Who is a Crypto Jew? The history of the Jews of Spain spans more than a thousand years. It ended tragically in 1492 with the edict of expulsion issued by King Ferdinand and Queen Isabella of Castile and Aragon shortly after their conquest of the Kingdom of Granada. The Jews of Portugal encountered a similar fate in 1497 with King Manuel I’s expulsion order. The edicts occurred after a tumultuous century of radical changes in Jewish life in the Iberian Peninsula. Beginning in 1391 and culminating with the expulsion decrees, large numbers of Jews converted to Christianity, many under physical coercion or duress. Converted Jews were referred to by a number of terms including Conversos, New Christians, Hebrew Christians as well as derogatory terms such as Marranos, meaning swine. The term Crypto-Jews in this context refers to Spanish and Portuguese Jews who converted to Christianity, but continued to observe Jewish practices and maintain Jewish beliefs secretly. Such observances were labeled as Judaizing and subject to severe penalty including execution by Inquisitional authorities. The descendants of Crypto Jews exist to this day. This site is dedicated to providing information on this fascinating subject. 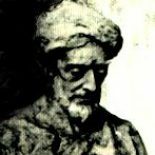 This entry was posted on April 11, 2013 by rambam442013 in Crypto-Jewish History and tagged Converso, Crypto-Judaism, Inquisition, Jew, Judaism, Marrano, New Christian, Spain.